There aren't enough food, service, value or atmosphere ratings for El Pechugon, Mexico yet. Be one of the first to write a review! Phenomenal value, flavour, and local experience. 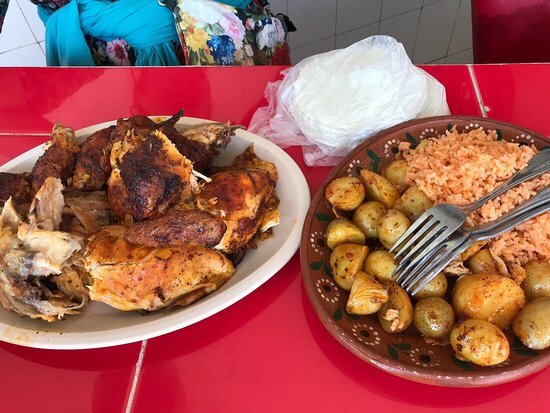 Roasted whole chicken and potatoes marinated in wonderful seasonings. Together with salad, salsa, tortillas, and 2litre (!) beverage, MX$200 (about USD$11). Friendly, delicious, and local - just blocks from the beach. Do not miss. Get quick answers from El Pechugon staff and past visitors.